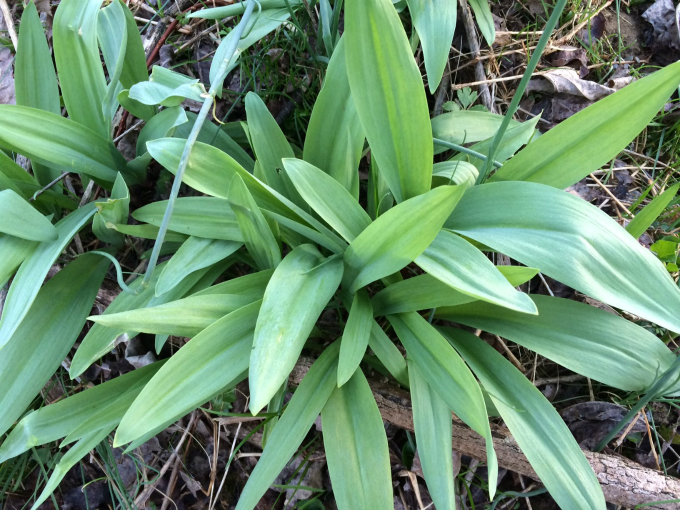 Wild leeks (or ramps), are a springtime ephemeral that are slow growing perennial plants. Without a doubt, they are an annual favourite enjoyed by many foragers. Due to their growth cycle they may appear to grow in abundance, and depending on location they do; however, they cannot be harvested as though they are dandelions. A problem exists; many harvesters that are paid by those in the food industry tend to not care about this plant’s sustainability. To understand more about why this is an issue it’s important to know the life cycle of this favourite plant and when to harvest. Leeks (Allium tricoccum) germinate from seed which can take up to 24 months and even then, these plants would not be ready to harvest for at least another 2 to 3 years. Wild leeks have a short photosynthetic period. 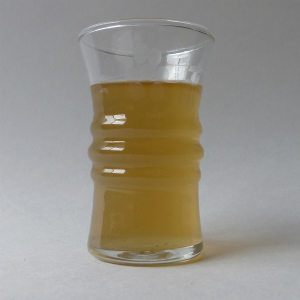 When the leaves develop, storage compounds in the leaves are quickly synthesized. Reserve compounds are stored in the bulb. Within a short period of time the leaves wither off. When the nitrogen, calcium and magnesium-rich ramp leaves decompose, they release the calcium to the soil where it is received by the bulbs; this allows them to generate new leaves the following year. This plant is atypical and has two phases, the photosynthetic and reproductive phase. A mature leek produces a single scape and appears before the leaf senescence. This slowly develops and produces an umbel of flowers which won’t bloom until about July. Anywhere from 4 to 6 weeks after that, ripe seeds are exposed. Bottom line, the seeds need two years in the soil (winter and summer temperatures) before they can germinate. The bulb overwinters and it is the nutrients in the leaves that allow the bulbs to grow. The entire life cycle of one plant can last 5 to 7 years. There are individuals who have taken the initiative to grow leeks for the market but the time and dedication required to grow and harvest these uniquely-flavoured alliums ensures that leeks will remain a niche product. There is an opportunity to diversify farm income by selling leeks, but as demand and popularity increases, sustaining productive populations becomes a massive challenge. Forest farmers are on the increase in the U.S. and in Canada. Forest Farming Ramps is a great resource for those wanting to grow leeks for the market or simply for themselves. With large urban markets, such as New York City and Toronto, harvesting ramps to meet demands faster than they can be replenished will wipe out wild populations. Those who purchase wild leeks from a market can do their part by not supporting over-zealous harvesters. Purchase only the ramps that are fully mature and have a sizeable bulb; boycott skinny leeks that have skinny bulbs. Interestingly, in 2013, an instructor at Penn State University, Eric Burkhart, conducted a unique test. He wanted to know how many harvested leeks does it take to measure one pound. He found that in early April it took just over 100 ramps to generate one pound. Two weeks later, about half of that is needed to make a pound. The number of wild leeks needed to make a pound will be lowest in late April to early May (before the seeds are formed). First and foremost, never harvest all of the wild leeks you see otherwise for the next several years, there will be no more leeks to harvest. Pick one mature leaf per plant; leaves taste just as good as the bulbs. It also allows the plant to seed and does not disturb the soil. If you find bulbs with multiple tops, harvest one and put the other back. Thinning out wild leeks can sometimes be advantageous by creating more space for newly germinating seeds. Harvest from locations in which there is an abundance of wild leeks (at least a patch that measures 5’ sq.). Always use your hands if you are harvesting the entire plant. Using a garden trowel can cause harm. Carefully shake off the soil so any dormant seeds will be returned. Harvest only what you plan to use. If you harvest it – use it! In order to preserve and enjoy the incredible taste and health benefits of wild leeks, be sure to make wild leek vinegar. Wild leeks contain the same sulphur compounds as garlic and these help to protect the lining of your blood vessels. They help support brain function and they aid in the elimination of LDL (bad cholesterol) from the liver. High in antioxidants, they are a great ally in preventing stroke and high blood pressure. One leek contains 10 percent of the recommended daily allowance of iron. Iron transports oxygen to all cells in the body and it supports a healthy immune system. So it only makes sense to preserve the goodness by making vinegar. Every geographical location is unique. Where there may be a shortage of wild leeks in one area, there may be more than enough in another location. For the individual who wants to get out there and enjoy foraging, have fun and harvest sustainably. For those in urban areas and can only forage at a food market, be sure to support a vendor who only sells mature plants. Thank you to Joe O’Blenis, aka Joe O’Paddles in Thunder Bay, Ontario, for naming the title for this blog. I love leaks.At least once a year on my way to school I would stop to sample some leeks and would be sent home.They just don’t make breath mints that can handle that. Good thing they don’t cause if they made mints they’d be loaded with chemicals! LOVE LEEKS! Healthy and a great treat to have once a year.